This item is no longer available, but keep an eye out for the next release from our Cavemaster Labs! This Cavemaster Labs cheese is one colorful experiment! Made from a green (unaged) wheel of St. Stephen from Four Fat Fowl, the bloomy rind of this delicate, buttery cheese is rubbed with hibiscus and then aged in our Caves, emerging with a distinct new flavor and unique purple hue. Though reddish-purple coloring is atypical in cheese, our hibiscus rub has the desired effect of creating a light lilac band around the cream line, like a cheesy tie-dye. Smooth and floral with hints of cherry, this bright wheel scores high in the categories of sweet and fruity, with a decadent velvet mouthfeel and earthy undertones. 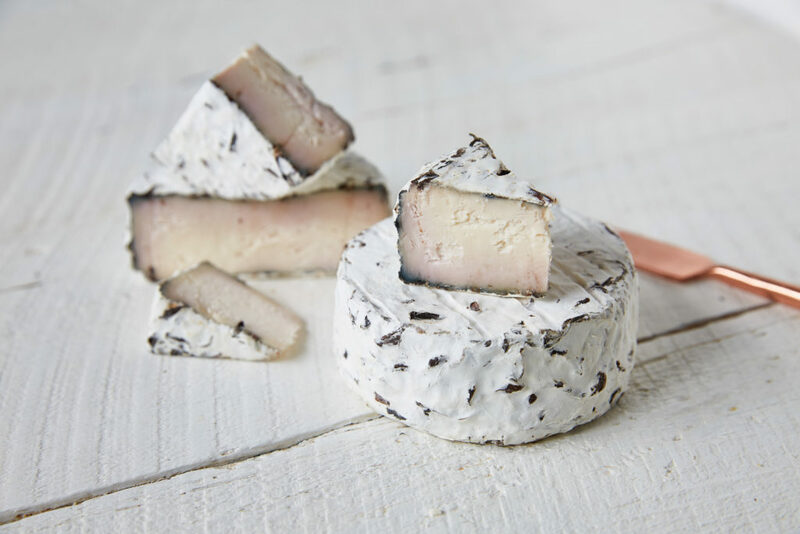 Pair this striking bloomy cheese with a glass of bubbly for a snack that’s as beautiful as it is delicious.